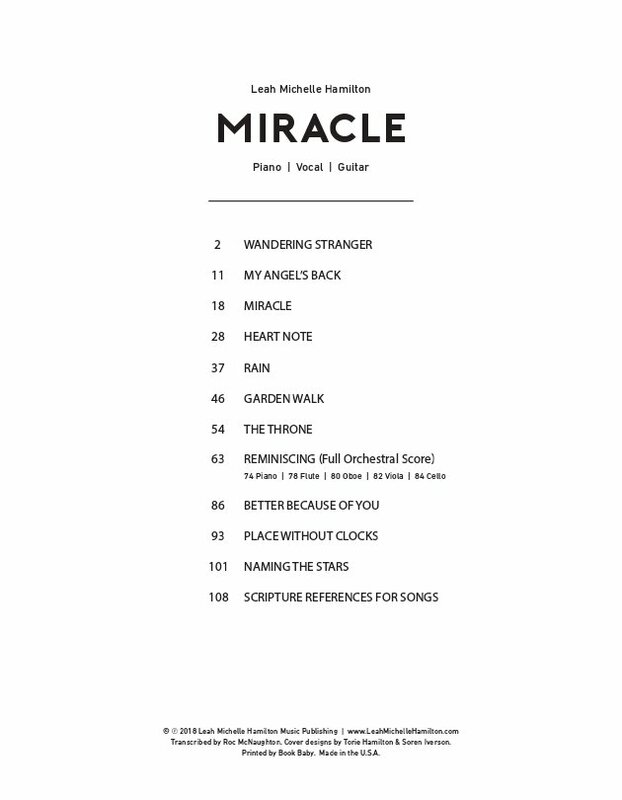 "Miracle" songbook has the scores for all of the songs of the much anticipated CD, "Miracle," released April 1, 2018. 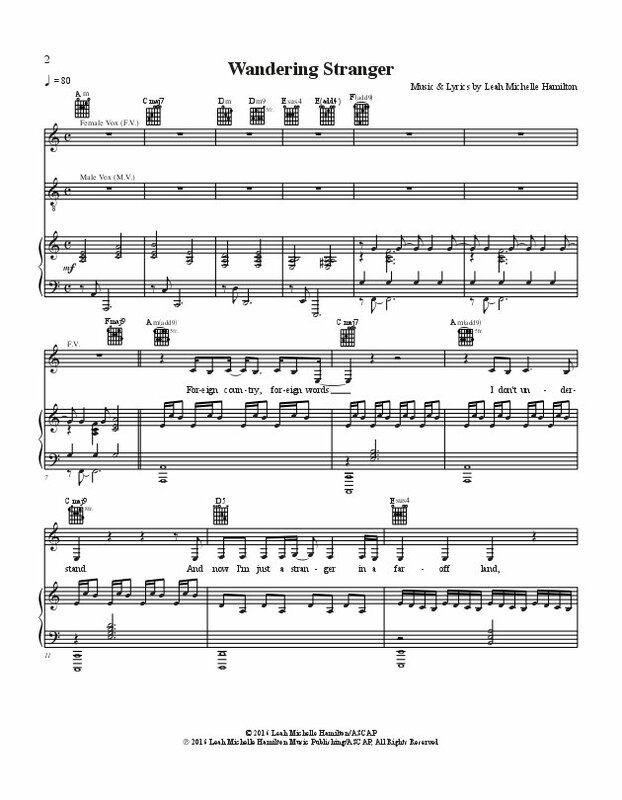 This book will allow you to play these songs with piano and guitar scores, with a bonus for the song "Reminiscing" having the complete orchestral score. Included also are Leah's first 3 original songs she wrote, as well as coordinating scripture references for all. 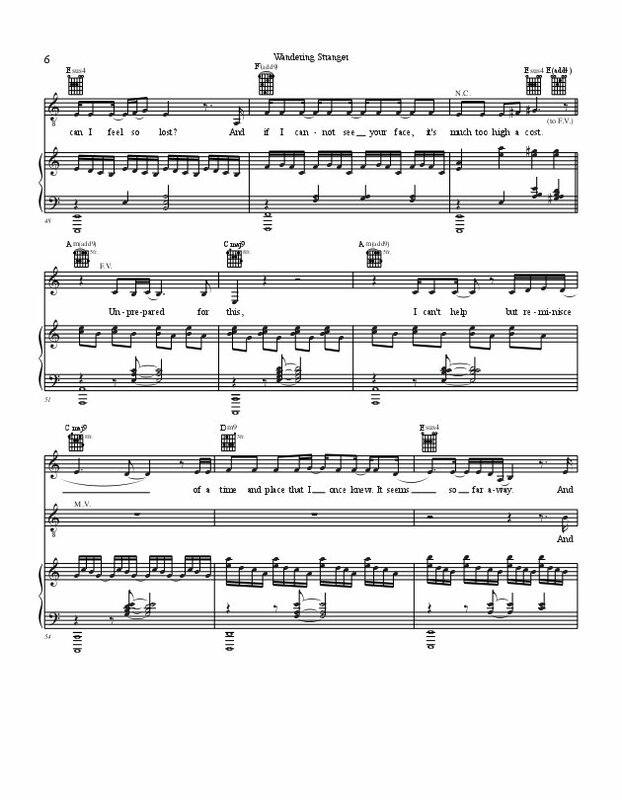 Enjoy singing and playing these songs while you add your own creative touches. Miracles come in both small and large packages. The miracle of walking alongside a friend; the miracle of God's comfort in times of fear; the miracle of being in a foreign country and finding family in another person; the greatest miracle of forgiveness offered by the Prince of Peace who offered himself as the ultimate price; and the future miracle of hope for a "Heavenly Country," where there will be no more tears or sorrows. 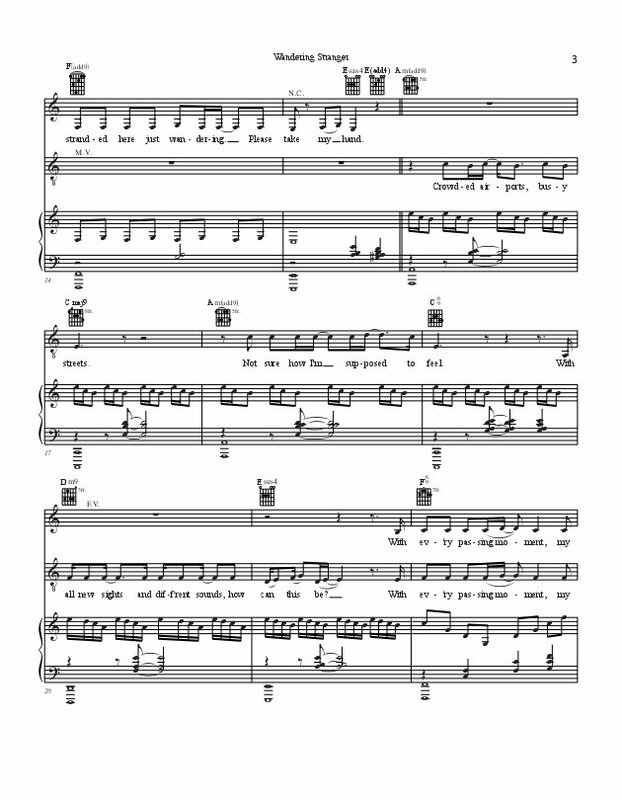 "Miracle" Music Book includes the piano, vocal and guitar scores to the album's eight songs, written by Leah Michelle Hamilton: •	Wandering Stranger •	My Angel's Back •	Miracle •	Heart Note •	Rain •	Garden Walk •	The Throne •	Reminiscing (Complete orchestral score with rehearsal marks and separate scores for Piano, Flute, Oboe, Viola and Cello included) •	Better Because of You •	Place Without Clocks •	Naming the Stars There are three bonus scores included for songs from previous albums, bringing the book to eleven scores. In addition, a Scripture Reference page is included in the back. 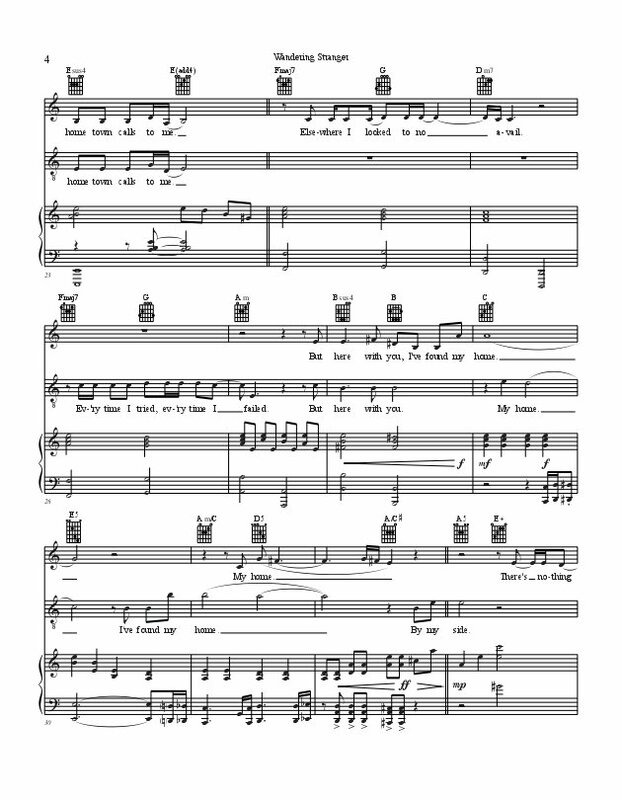 Using these scores, the songs from Leah Michelle Hamilton's "Miracle" can now be played and performed in a variety of settings, from times of celebration to times of loss. God is at the heart of each of these songs and it is Leah's hope that others can also play these songs and sing along with the lyrics that are rooted in Scripture as they encourage, heal and transform each musician or audience member. Complete the experience and purchase the CDs to play along with the scores. Leah's CD's in chronological order: "Complements," "Unexpected Light," "Undivided Heart," and "Miracle." 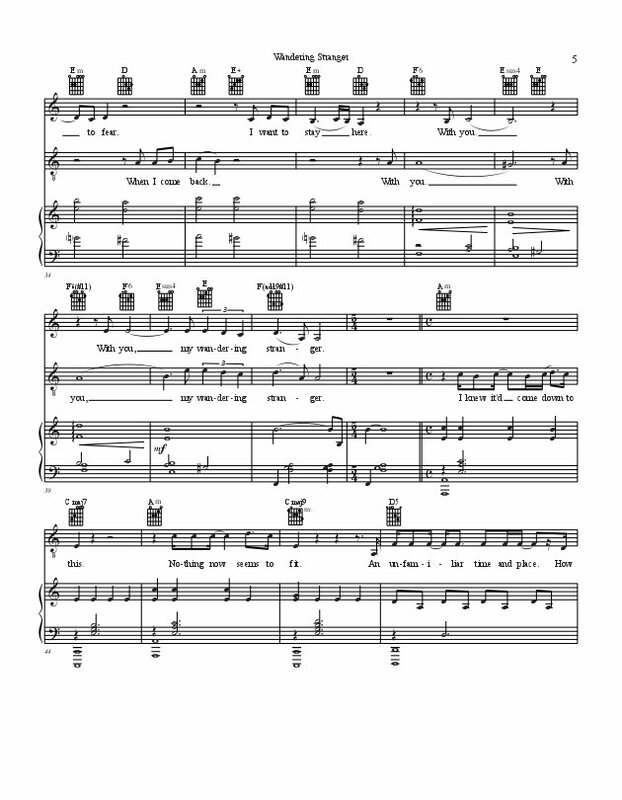 "Miracle" Song Book is available both in print and EBooks. 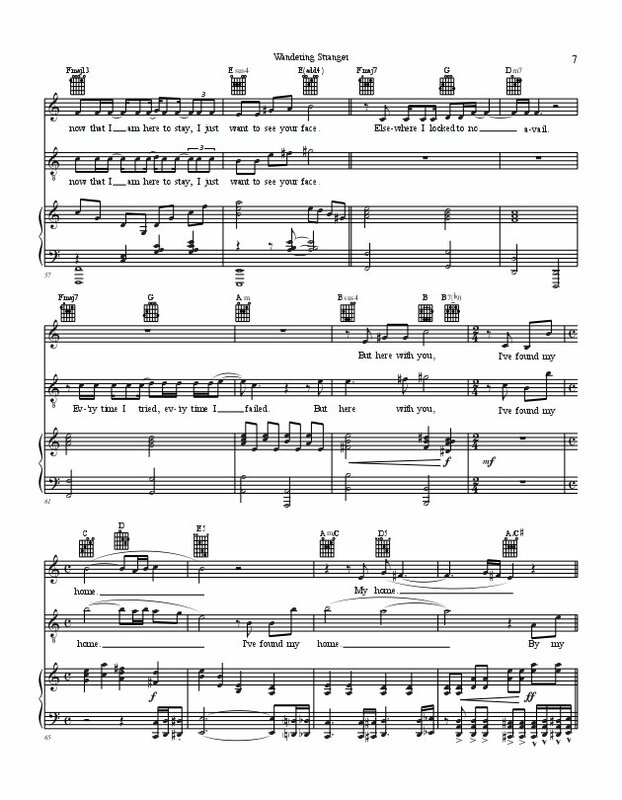 Each musician has his or her favorite way to read music—the choice is yours! Whether you're just beginning or you've been playing for years—play your heart out and enjoy! Leah's heritage is rooted in Orange County, dating back to when her pioneering great-grandfather, Bernard Arroues, staked his claim in Fullerton as a citrus rancher. Today, Leah and her family continue to live in Orange County. Beginning at a young age, Leah was classically trained in piano. As she grew older, her passion for piano continued to flourish and she decided to study music in college. Years later, Leah had poured her talent into four albums: "Complements," "Unexpected Light," "Undivided Heart," and most recently, "Miracle," released in April 2018. Alongside being a musician and songwriter, she has been a practicing psychotherapist for over 30 years, with a Master's Degree in Marriage, Family and Child Counseling. Her work as a therapist and her desire to seek redemption within tragedy and pain has deeply influenced her music. You can hear such influence in her songs as they speak of loving and being loved in times of loss and finding hope in the shadows.